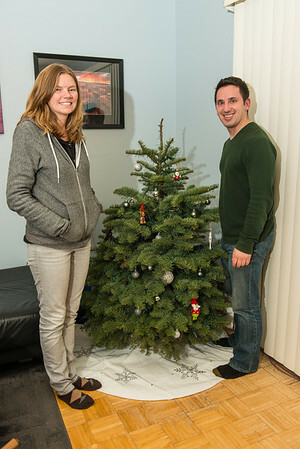 Our first xmas tree in our apartment. I decorated it with hanukkah colored lights. Mwahahaha! 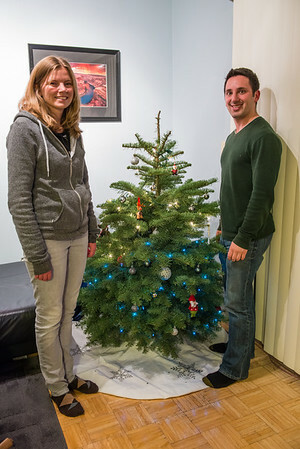 Our first tree is decorated! 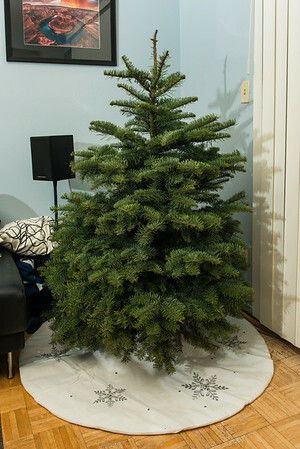 When my new roomy said she wanted a Christmas Tree I was a bit hesistant … in 29 years I had never had my own real Christmas Tree. "It'll be fun and we can start our own little tradition!" she said. "Plus, it makes the whole apartment smell really nice and it's pretty!" 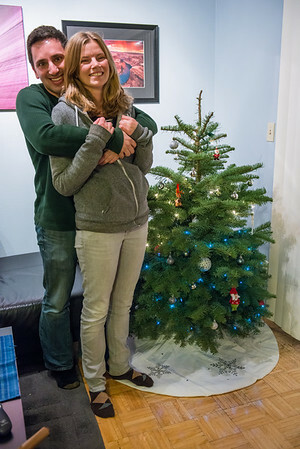 So off we went to the local Kiwanis and bought ourselves a 4-foot tree. I was tasked with buying the lights for the tree and considering it was the middle of Hanukkah, the festival of lights, I 'accidently' came home with blue and white lights. Happy Chrismukkah!